What About Those Sheep-Stealing Megachurches? Megachurches keep getting bigger while small churches seem to struggle more than they used to. It's easy to think one is causing the other. There’s a lot of conversation going on about megachurches. Most of these questions come from a place of frustration and pain. Sometimes that pain has turned to anger. We’re living in a new reality regarding church size. A generation ago, before megachurches came along, the size difference between the median church and the biggest church in town was often just a few hundred people – even in heavily populated cities. Today that difference can be tens of thousands. When the size differential was 10X or so, the gap between the amount of ministries a small church or a big church could offer wasn’t huge. The big church had a larger choir, a few more staff members and a couple extra options for Sunday School classes. As the size differential has increased from 10X to 1,000X, so has the number and variety of ministry options that big churches can offer. But as the size differential has increased from 10X to 1,000X, so has the number and variety of ministry options that big churches can offer. This creates an attraction to the megachurch that can feel like the gravitational pull of a large planet. If you’re close enough to it, you’ll get drawn in. 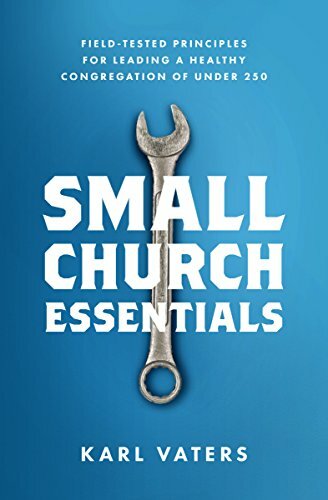 This is great for the large church and for those they’re reaching, but it can feel like a challenge – even like competition – for the smaller churches that exist in their shadow (sometimes literally). Small churches and big churches are not in competition with each other. At least we shouldn’t be. But it’s hard not to feel something like that when thousands of people drive past our church doors every weekend to go to a bigger church.